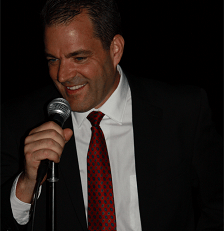 Hi, I’m Magic Suzy, the #1 Comedy Kid’s Magician and corporate magician in Saint Petersburg / Tampa Florida! 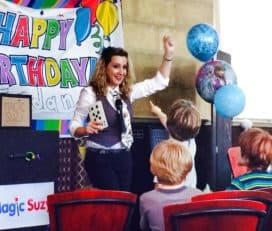 Imagine your kids laughing and amazed by a female magician with a GIANT magic wand, a Harry Potter inspired magic wizard’s hat (that they get to keep), a “fantasy magician” routine where the celebrant gets dressed up like a real magician (in top hat and tuxedo) and does real magic (awesome photo opportunity!) 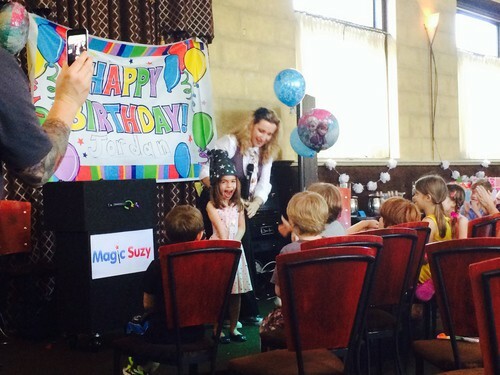 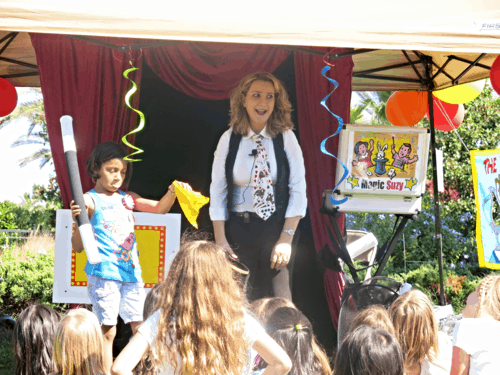 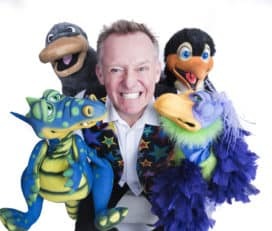 and lots of silly, physical comedy… that’s The Magic Suzy Show! * Magic Money giveaways for all the kids. 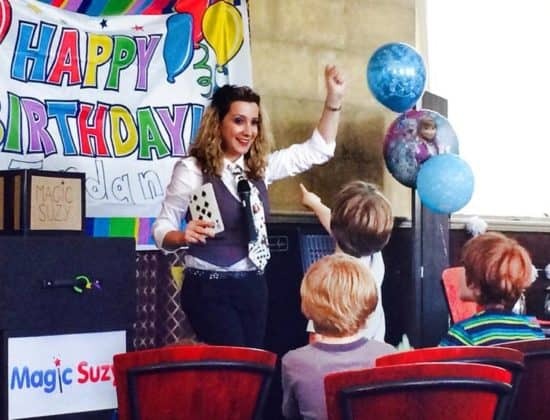 Teaches 4 easy magic tricks!